Good Will & Salvation is a tribute to my Mother, an avid thrift store shopper. She lives in Michigan and I live in Oregon. Whenever we get together we spend our days trolling every Goodwill and Salvation Army store in whichever town we happen to be in. My mother shops to her heart’s desire and I spend the day taking photographs to document the quirky castoffs of our commercial consumer culture. 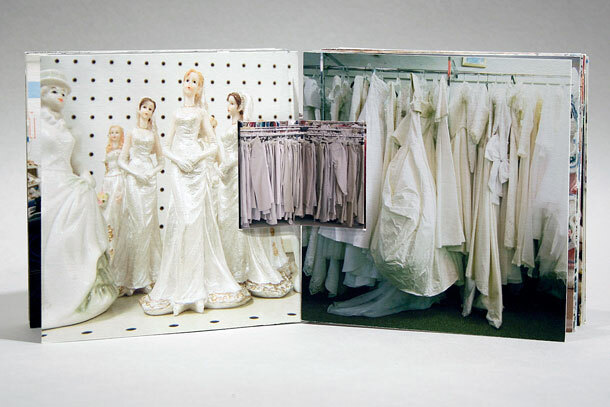 All are joined together by a long accordion spine strip that shows miles and miles of clothing racks, garments organized by color, just as you’d find in any quality Goodwill store. 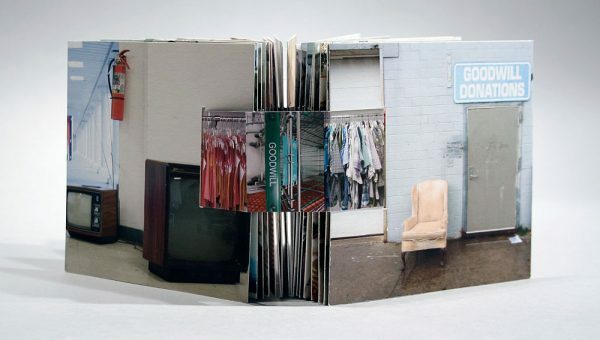 Digital archival printing on two-sided paper. Bound using Hedi Kyle’s woven and interlocking accordion structure. Moab Entrada paper. 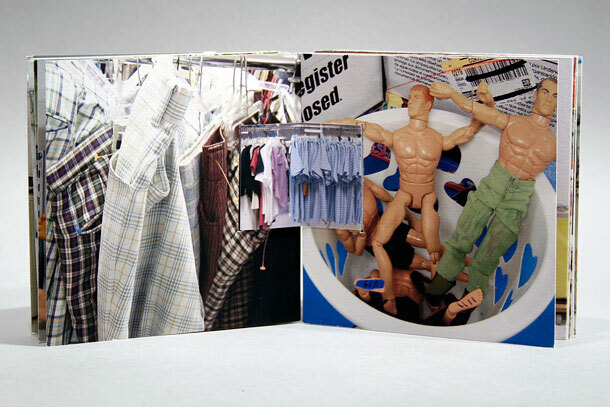 Features 36 pages of photographs plus 16 more photographs of clothing racks on the spine piece. 5 x 5 x 1.5 inches closed; 5 x 40 inches open. Presented in a custom slipcase. Edition of 25. 2011.